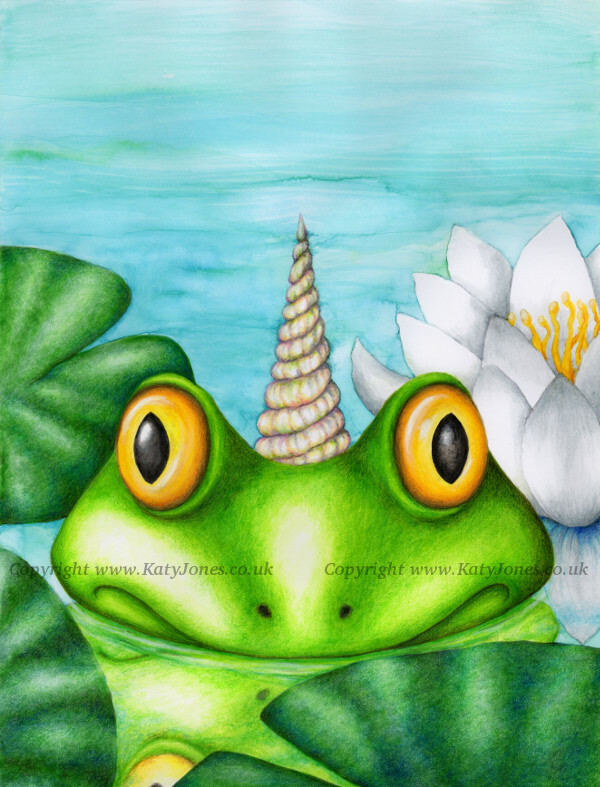 This is the cover art for the children’s picture book, ‘The Loveliest of all was the Froggicorn.’ The story was written by Kay Green and illustrated by me. It is a story about stories, with an endearing central character and with lots of dragons, unicorns and other mythical beasts along the way, and it’s especially suitable for children aged around 3-7 years. I have some copies of the book, which I am happy to sign and personalize (£8.99 for the book, £2.60 p&p within the UK). You can purchase yours here and leave a note at the checkout of any names or details you would like included!